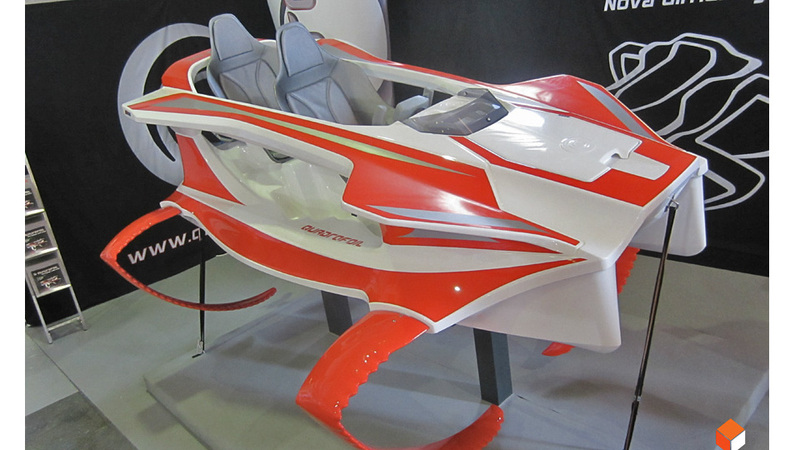 The Quadrofoil looks like a vehicle from a James Bond action sequence. But while the world's favourite spy seemingly has no regard for the environment while he's blowing things up, this personal hydrofoil is powered by an eco-friendly electric motor. 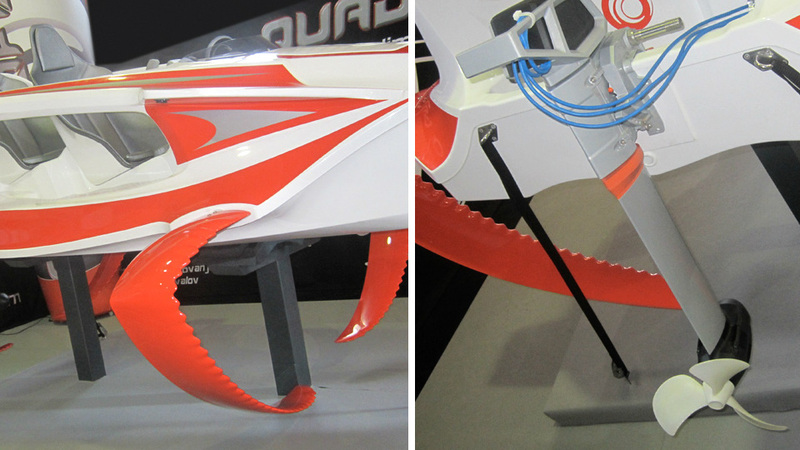 Created by three Slovenian engineers in just six months, the $US19,000+ Quadrofoil has a top speed of around 40km/h when it lifts out of the water onto its set of four wings. The reduced drag not only lets the electric craft reach those speeds with just a 3.7kW motor, but also with a minimal amount of drain on its batteries. On just a one hour charge the Quadrofoil has an impressive range of up to 100km, which can be pushed even farther thanks to a set of fold-out solar panels that let you top off the battery when you're away from an outlet. And this is just the first generation model. The Quadrofoil's wings are apparently strong enough to support speeds of up to 80km/h, so future generations of the craft — with improved battery technology — could feel like racing a waterborne super car.